Rashid Arshed’s recently published book ‘Art Scene of Pakistan: The Unwritten Chapter’ is an important document to understand the art of Pakistan, and its history from a personal point of view. The artist’s position in terms of invoking past and connecting it to his and everyone else’s present for the sake of future is commendable, especially due to using a language that is devoid of mystery, and ambiguity. Nor his text had a pompous tone, or a tint of self-praise, a trait of many writings on art and several autobiographies. 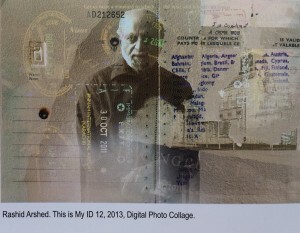 The book also provides a chronology of Rashid Arshed’s art and its development in various stages. From his earlier realistic watercolour ‘Temple at Riverside’ (1959) and a rather stylized work ‘The Sky Above’, Tempera on paper, 1960 to works from seventies, based on script, which became his mark of identity. 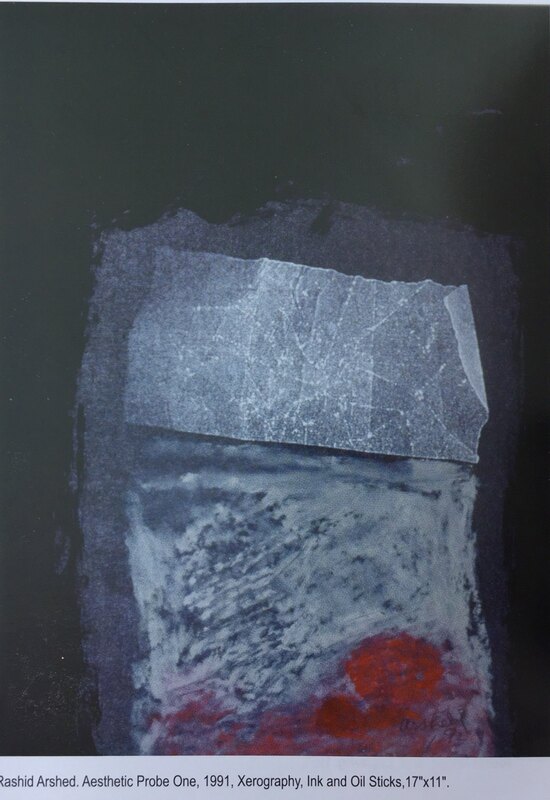 Arshed kept on pursuing this language, observed in his painting ‘Vision’ 1986, ‘Black Board’ 1989, ‘Aesthetic Probe One’, 1991, ‘Black Script’, 1992, ‘Autobiography’, 2000, ‘Love Letter’, 2000, ‘Scripture’, 2000, to several later works with pronounced calligraphic character, executed in the first decade of twenty-first century. 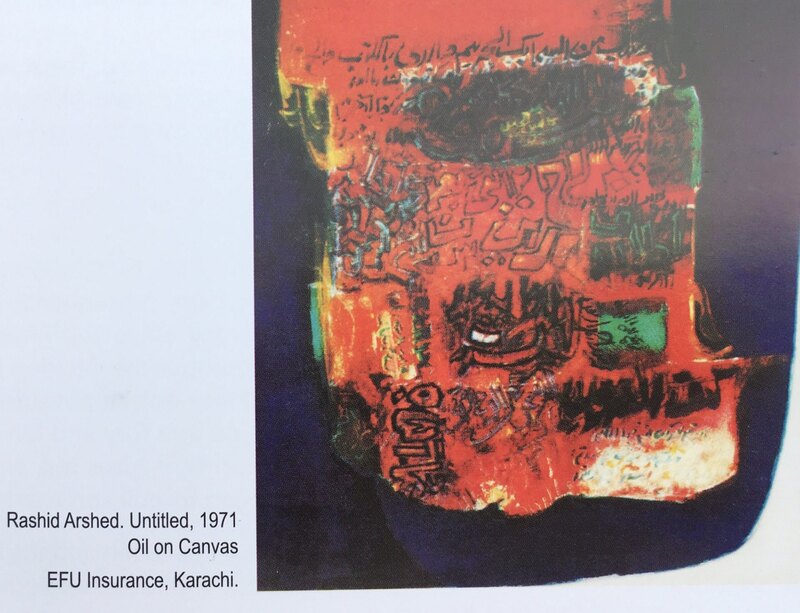 May be the painter’s interest in text as a visual material, inspired him to write the book, though not first to his credit, since he has already published three books in Urdu, but compared to their nature, being fictional, the present volume is based upon facts and probes unwritten aspects of the history of Pakistani art. Starting from the author’s journey into art, by his joining Mayo School of Art in the late fifties (with a photograph of ‘Author as Student’ from 1959), his graduation, his travel to Karachi, joining the Central Institute of Arts and Crafts, becoming its Principal, leaving Pakistan in 1975 for the States, and his exhibitions in the USA and in Pakistan. In these narrations, a reader discovers the life of a painter, who had multiple experiences, both in his motherland and his adapted country. Necessary to understand ideas behind his imagery. Especially his series of works with references of his own palm, and passport pages. But along with this, the book also offers a first-hand insight to know his contemporaries and some of the most important figures of Pakistani art and culture. Sections on Ali Imam, Bashir Mirza, Sadequain, Ahmed Parvez and Dr Annemarie Schimmel reveal Arshed’s observations and some very important comments on these figures. The book also refers to his years at the Mayo School of Art and its faculty such as Haji Muhammad Sharif, Ustad Shaikh Shujaullah, Shakir Ali and Professor Mark Sponenburgh. It suffices a detailed account of Sponenburgh’s contribution in teaching at the National College of Art, from the point of view of a student who observes and comments on his contemporaries in an objective manner. After its delightful and engaging tone, the book ends on a note that is relevant and pertinent, ‘Art Criticism: Facts and Fiction’. It starts with a startling line: “Artist Lubna Agha was on the phone and she was furious… She talked about Dr Akbar Naqvi and his book ‘Image and Identity’. She did not seem at all pleased with what had been written about her.” But the chapter introduces Dr Naqvi in an unbiased tone, along with enumerating art critics from different periods of Pakistani art: Sultan Ahmed, Syed Amjad Ali, Jalaluddin Ahmed, Marjorie Husain, Salima Hashmi and Quddus Mirza. He criticises the simplifications in art writing, mainly in Naqvi’s books along with pointing out some incorrect facts. So art criticism to some extent relies more on fiction in Pakistan, whereas surprisingly, the book by Rashed Arshed is based on facts – no matter if the text is about fifty years ago in Lahore or seventies of Karachi – a remarkable quality, along with many other superb features of this significant book on Pakistani art.